I spend a fortune on razors. Playing netball at uni means my legs are out 5 days a week, and unfortunately I can’t leave my leg hair to grow like a gorillas for extra warmth in the winter. Buying new razor heads has always been a grudge of mine, especially as my skin can be quite sensitive to cheaper kinds. 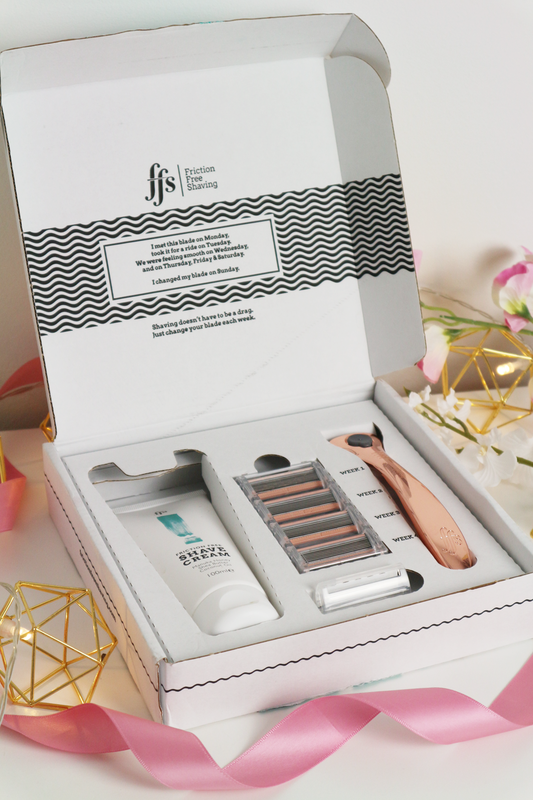 The Friction Free Shaving kit made it’s debut over the blogosphere a month or two ago, and although I was very, (probably too) excited about the rose gold handle, it was the idea of having a handy subscription that delivered a new head every week that caught my eye. Often at uni I have to either head into town to get some decent razors, or buy online because the shops near me are rubbish. 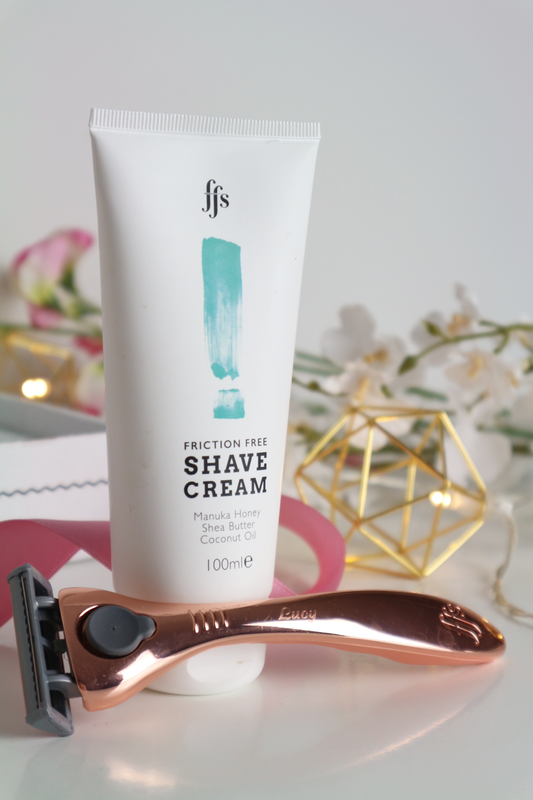 The idea of having your razor heads delivered to you every month is ideal – no more getting your hairy legs out only to realise all your razor blades are blunt!!! I really do rate the FFS shaving kit. The razors have 6 seperate blades – something I always look for in my razors, and they do a great job. Used alongside their shaving cream my legs are left super smooth and not irritated in the slightest.